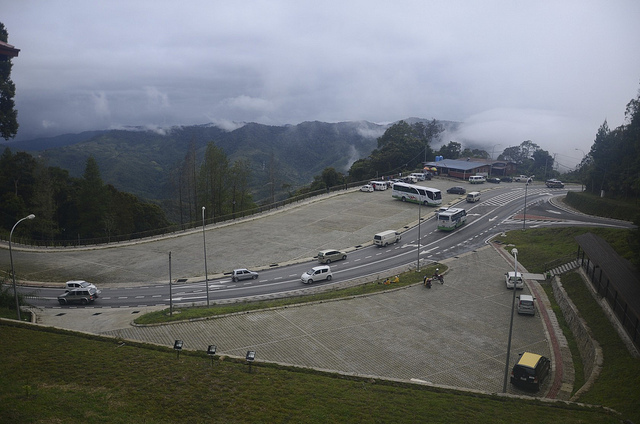 The main entrance into the Kinabalu Park is at the Park Headquarters which is located about 92 km on the Kota Kinabalu - east coast highway. The highway lies at an elevation of 1520 meters above sea level. 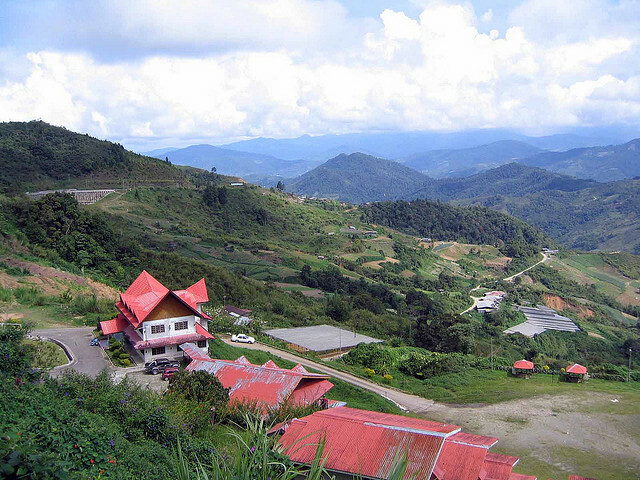 The park is in Sabah but more specifically in the district of Kundasang. The park is a vast area of 754 square km. It was officially made into a park back in 1964 and was also the first State Park in Sabah. 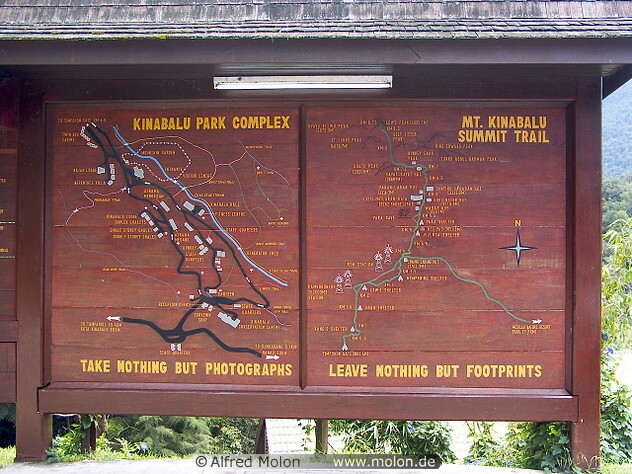 In the year 2000, Kinabalu Park was declared as Malaysia's first World Heritage Site by UNESCO. 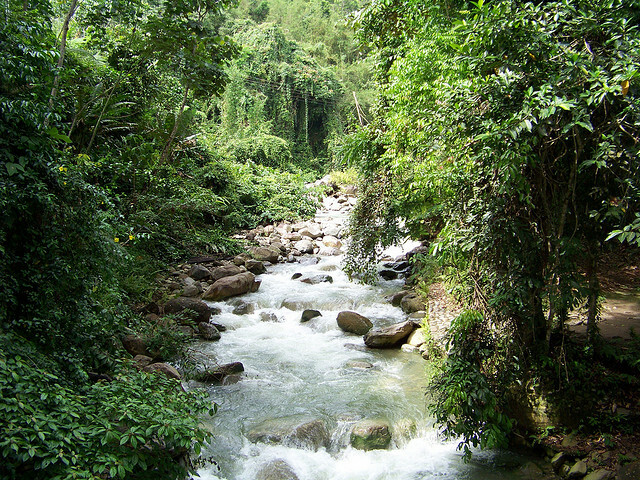 The establishment of the park was to safeguard areas in the Kinabalu Park after a report was made by the Royal Society Kinabalu Scientific expedition in 1962 to 1964. The expedition was led by Professor Corner. The main attraction in Kinabalu Park is the renowned Mount Kinabalu which stands tall at 4,095.2 meters tall. This makes Mount Kinabalu the highest peak between the Himalayas and New Guinea. The park is also a hot spot for those who love the nature. The diversity of the plants in the park is incredible. Some of the plants living in the park are from the Himalayas, China, Malay Peninsula, Australia as well as pan-tropical region. Since the park is populated by such diverse species of plants, it also serves as the Centre of Plant Diversity for South East Asia. The park has more than 5000 vascular plant species, approximately 1000 orchid species, 621 species of fern and many other species of flora. The types of fauna which populate the park are abundant as well. 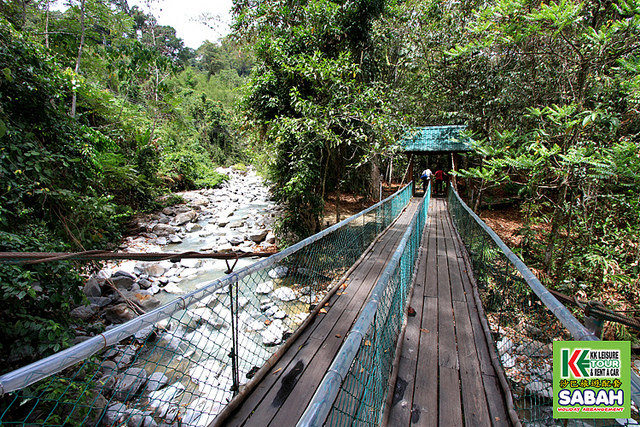 This makes the park a great place for jungle trekking as well as a place to rest and relax.Around the Kinabalu Park are various natural attractions and activities. There is the Natural History Gallery which is a great place to familiarize with the attractions the park has to offer. Half an hour away from the park headquarters is the Poring Hot Springs which is located 400 meters above sea level. The hot springs features its unique hot sulphur spring baths which have been claimed to have therapeutic values. There is also a 41 meter canopy walk where visitors can hike to see some breath-taking views. The activities in-store are specially to cater for those who enjoy adventure and sports. Other than the Kinabalu Park, there are many other attractions in Kota Kinabalu. There are shopping malls where you can do your shopping or at the Filipino market where you can get some cheap sea produce. Other attraction includes the Tunku Abdul Rahman Park which is a marine park for those who wish to get a closer look at the underwater fishes and corals. Other famous diving sites in Kota Kinabalu are the Kapalai Island, Mataking Island and the Sipadan Island. The Sipadan Island is an exclusive diving destination as only a certain number of divers are allowed into the island per year. You can also go to Sandakan and Labuan to explore the places there. Hotels in Kota Kinabalu are plentiful. Thus do not worry about accommodation. 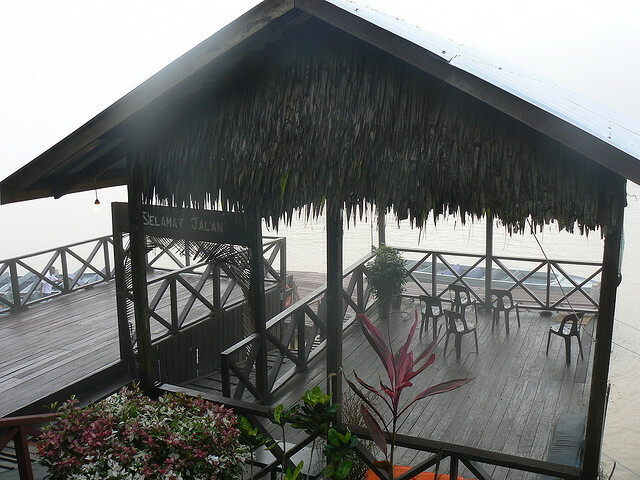 However, do book beforehand as Kota Kinabalu is a famous tourist spot and hotel may be full during peak season. Getting around Kota Kinabalu is best via taxi or by renting a car so that you can go around on your own. There are buses which you can get on but there are not any LRTs here.